Ruth Cecelia Ortt-Cutchins - "The Old Cradock Girl"
Come Home to Cradock October 20, 2012 (third Saturday in Oct) Check back for details. The father of the Cradock Alumni & Friends Newsletter publisher died last week. Read about Gail Edwards Baker's ('62) loss here. Combined Reunion for the classes of 1967, 1968, 1969, & 1970. We welcome anyone from other classes who would like to participate. 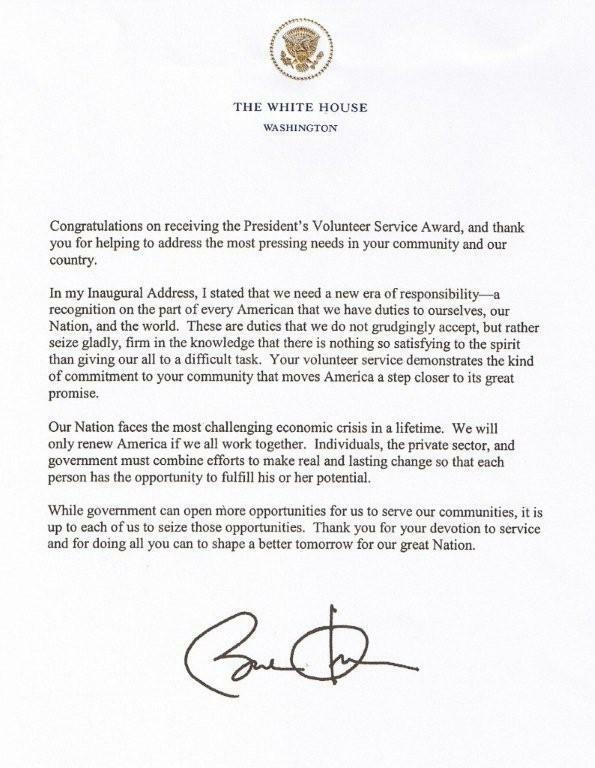 Just contact one of the contact people at the end of this letter. Thank you! February 2012 issue of The Shipmate published by the class of '49, '50 & '51 is now online. Cradock High School's first principal may have been a woman. 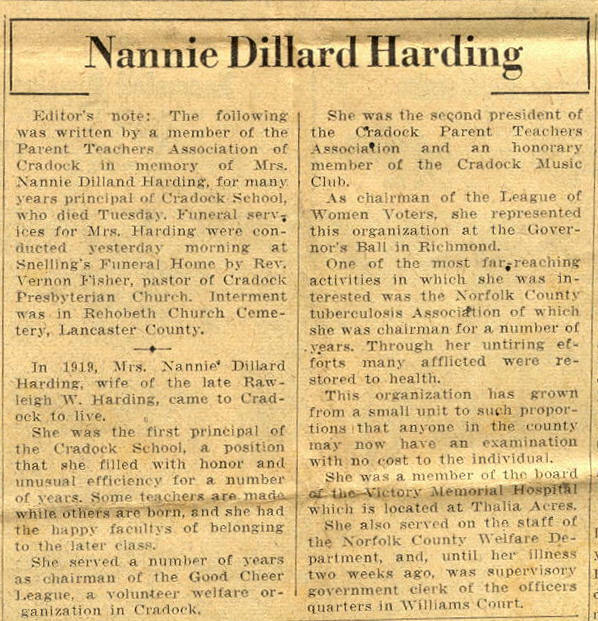 According to the obituary for Nannie Dillard Harding, found by Curt Spear ('57) in his grandmother's belongings, this individual came to Cradock in 1919 and was the first principal. Since no yearbooks were printed before 1938 this information was not known. Mrs. Harding was mentioned in the Freed's papers, The Ship's Bell (know as A Community Named Cradock on this site) and lived first on Bainbridge Ave. then Prospect Pkwy. She was very active in the clubs around Cradock. In the 1930 census she is listed as a teacher. Wonder what other history Curt will find in his grandmother's treasurers? Don Caffee ('59) has scanned and contributed to this site the 1959 Yearbook Supplement. Don is an active participant on our Facebook page. His memories are both interesting and comical. If you have not joined us on Facebook, please do so today. Don't forget to "like" us when you get there. Thanks Don, for you work and contributions. Cradock Pharmacy page has an addition. A must read! Remembering Mr. Leary and the Cradock Pharmacy. Two old newspaper photos from the 1950's included. Does anyone have any pictures of the Lighthouse on Victory Blvd? For anyone who may be interested, the Faculty and Staff from the 1946 yearbook are now online. Two Cradock High School graduates were inducted into Virginia wrestling hall of fame in April. Jack Kennedy, Class of 1963 and Ike Sherlock, Class of 1966. Here is a link to an article. See more about Pavers here. 1976 Admiral yearbook. If anyone can help with this please contact me @ stevenlbarker@yahoo.com. A year ago a group of former Cradock students (dating back to the 1946 class) began to discuss the origin of the Cradock High School Alma Mater. After many emails and much discussion it was all figured out. Bernie Kirsch has been kind enough to sum it all up and write it down for our website. All I can say is WOW! What a wonderful job he did. Thank you Bernie! It is definitely one of the most treasured and interesting pieces on this site. Click here to read "A History of the Cradock Alma Mater". Come Home to Cradock 2011 will be held Saturday, October 22nd. The February 2011 issue of The Shipmate newsletter published by the classes of 1949, '50 & '51 is now online. Now is a good time to start thinking about purchasing a Paver to be placed in the area near the Gazebo in time for Come Home to Cradock 2011. A new Paver index online makes it easier to find your Paver or browse the ones installed as of 10-18-2008. You have plenty of time to decide who you want to purchase one for and what you want to put on it. The Pavers already installed will give you some good ideas. If you decide you want to order one contact Cindy Cook or Bev Sell. If you are a facebook member, you will enjoy these two sites. 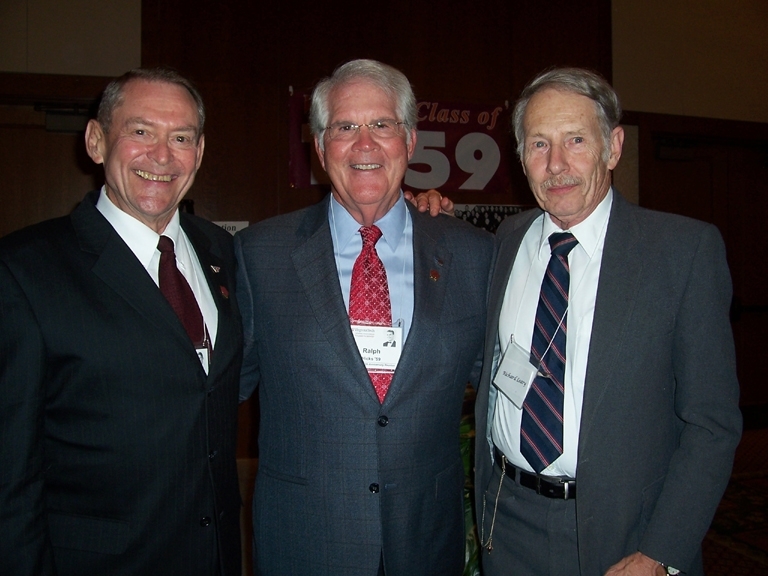 Plans are being made for the 45th reunion of the Class of 1966 to be held on Oct 7th and 8th, 2011. For info please contact Dale Stewart at obxstew@cox.net (757-484-9588) or Bonnie Jordan Porter (on facebook) mtn_2.beach@charter.net. Hi! My name is Kimberly Talley, class of 1973 and I am looking for a good friend. Her name is Donna Pennington. She got married while we were in school so I don't remember her married name. If anyone has any information as to how I can contact her please email me. GOD SAW HIM GETTING TIRED AND A CURE WAS NOT TO BE; SO, "HE" PUT "HIS" LOVING ARMS AROUND HIM AND WHISPERED "COME WITH ME." A FAITHFUL HEART STOPPED BEATING, HE PASSED THE FINAL TEST = SO NOW HE IS IN HEAVEN AND HAS FOUND THE PERFECT REST. LOREN A. TOMPKINS, AGE 76 PASSED PEACEFUL AWAY TUESDAY MORNING, DECEMBER 14, 2010, IN FORT MYERS, FLORIDA. OUR DAUGHTER, DENISE, WILL BE FLYING IN TODAY TO HELP ME WITH THE FINAL ARRANGEMENTS. . IN LIEU OF FLOWERS AND/OR CONTRIBUTIONS, LOREN'S HAS REQUESTED THAT YOU KEEP HIS FAMILY IN YOUR THOUGHT AND PRAYERS. We are so sorry for you loss, Mavis. I have not seen anyone say anything about Goble, and his barber shop on Afton Parkway? He had people coming from Virginia Beach to get him to cut their flat tops. One day I was going into his shop to get a hair cut, and he told me , no more today I'm closed I am going fishing George Presson class 1954. Note: Goble's Barber Shop was located at 64 1/2 Afton Pkwy. Mr. & Mrs. Goble lived at 12 N. Fairview Ave. Mrs. Goble was living at that residence when she died in 1993. Mr. Goble died in 1981. Does anyone else remember Mr. Goble's flat tops? Thanks George, for the memories. The November 2010 issue of The Shipmate newsletter published by the classes of 1949, '50 & '51 is now online. Chef Monroe Duncan is no flash in the pan Monroe Duncan is a 1957 Cradock grad and a well known chef. Read the latest article the Virginian-Pilot published on him. as many cars as possible in the parade, to honor all the past years we spent at good ol' Cradock. Just put a sign on your car, truck or little red wagon, with who you are and what class you are representing. The attached flyer, that was written by Bev Sell, our illustrious leader, has all the info you need. Please print it and hang it on your fridge door, to remind you of when and where. Richard Huneycutt will be helping me with the parade line up again this year (thank you Richard). He has asked Frank Webster to be our Grand Marshall and Frank has accepted. We always hope for beautiful weather or as Bev says "68 and sunny", so come on out and join us. Hope to see all of you on Saturday, Oct. 16th. Take care and keep smiling. The August 2010 issue of The Shipmate newsletter published by the classes of 1949, '50 & '51 is now online. Click here to see the 2010 Flyer. This may be the last year the High School will be standing! The builders and developers for a New sub division housing project will be at the Come Home to Cradock event with information about the proposed project. Coastal Virginia Developers and Franciscus Homes will be on site to answer questions and provide information. Very first thing: The Cradock website can only be accessed by going to http://rqbing.tripod.com/CHS.html Give Janie Norris (60) our webmaster a day or two to post the newsletter and then go in and read it if you have a problem opening the pictures or it is too much for your computer. Janie opens them for you and posts them for easy viewing. Bev Sell, Cindy Cook and their staff are hard at work planning the next Come Home to Cradock event scheduled for Oct. 16, 2010 in Afton Square. If anyone would like to order a Paver in remembrance of a family member, friend or classmate please contact. Thanks from all of the Alumni & Friends of Cradock staff. For those of you who do not get the Va-Pilot either hard copy or on line an article appeared earlier this week describing the plans to demolish our High School on George Washington Hwy. Attachments show "their"plans for the property. I fear the influx of 206 houses in that area even at the $200,000 to $250,000 price range. Since I don't live in the area any longer I certainly don't get a say so or a vote but if you have strong feelings one way or another express them to the politicians or attend the Community Meeting. Cradock Civic League Important Community Meeting - Old Cradock High School Please remember to forward to Cradock Residents that are not receiving the email newsletter. Have them contact me directly at joanna@historiccradock.org <mailto:joanna@historiccradock.org> to be added to the email newsletter list. Thank you. Presentation of a Proposal for the "Conceptual Neighborhood Plan for Cradock High School." This is an unscheduled meeting to discuss a proposed residential development plan for the Cradock High School and surrounding properties by the development team of Coastal Virginia Developers and Franciscus Homes, Inc.
Wow, another newsletter already. Thanks, Gail. Class of 1949, 1950, 1951 planning 60th reunion. See their latest newsletter. I have received, on loan, several Shipmate's and Football programs from 1953/54. I will scan and add each one to the site as time permits. The first item uploaded to the site is The Shipmate, February 19, 1953. The ads are as interesting as the articles. Enjoy! Gail Edwards Baker has posted her latest newsletter. She has not forgotten us, she still has a very busy life with her job and parents to care for. Thanks Gail for taking the time from your busy schedule to provide us with the news you have received since your last newsletter. The Cradock High School Yearbooks for the following years are online at the Portsmouth Public Library website. Attached is an article that I thought some would find interesting. The picture was taken from the backyard of the house where I grew up on Aylwin Crescent. My son lives there now and the floating dock was taken further up the Paradise Creek by the November northeaster. The loss of the floating dock was the one of the few things positive that happened during the storm. February 2010 issue of The Shipmate - Classes of 1949, 50 & 51 Newsletter is now online. Hello, I graduated from Cradock in 1982, and I’m trying to locate Garry “Mark” Penland. Do you still work with or see him at work at the Shipyard? Can you please, if you have the chance get a message to him that I’d like to speak to him about some news regarding a fellow classmate who is very ill? Please share my contact info with him, and ask him that I would really like to speak to him? Recently a visitor to our site, who had no connection to Cradock, was able to locate some of his family who lived in Cradock from the time it was constructed until the mid 60's. He was able to do this with the help of former Cradock students who visit our site and the letters that Bob and Ruth Cutchins allowed us to post on this site. Previously a visitor who had no idea some of his family lived in Cradock was able to find the children, in the family he was researching, in our yearbooks (1940') section. This site provides hours of enjoyment to some of our visitors by taking them back to their younger, happy years living in Cradock. We can keep that memory alive and provide help to people who do not have a connection to Cradock, other than some family members living there, by recording what we remember as far back as we can remember. See Dr. Sidney Johnston Tabor's Bio here. If you scroll to the bottom of page 4, you can read about his life in Cradock. My name is Melinda Seckman. I am the daughter of Diane Scott Black, Cradock High School Class of '61. I wanted to inform you that my mother was killed in a car accident on January 25. Below is the obituary that was printed in the Richmond Times Dispatch on January 27th. My family would be honored to have her listed with the other fallen Admirals. Please include her senior portrait if that is still available. Melinda, I am so sorry for your loss and thank you for allowing us to include her on our site. The Granby High School class of 1960 is planning their 50th year reunion and is missing a class member who attended Cradock during 1959 when the Norfolk schools were closed. Janie Whitehill is found with the 1959 Junior class at Cradock but does not appear in the 1960 Senior class. Does anyone remember Janie, and hopefully, know where she went to school in her senior year? I found a high school ring from your high school. I was hoping to find the person that it belongs to. The ring is a female class ring from the class of 1979 and has the initials of JMB inside. Let me know if you can help me locate this individual to return this ring. The Nov. 2009 issue of The Shipmate newsletter published by the classes of 1949, '50 & '51 is now online. For those of you who know classmates from that time frame, you are in for a treat. There are several photos included in this issue. Karen Belding has been found safe and sound. Details are unknown. Read the dailypress.com for more information. A disturbing discovery about the Northern Star Credit Union (formerly Navy Yard Credit Union) was made by The Allison boys when their father passed away recently. I am posting this because so many people from Cradock worked in the Navy Yard and some may have this same account. If you do, you should inquire as to the status of your account. Years ago, the Navy Yard Credit Union offered accounts ($2,000) that would double at death. They allowed an account for the member and one for the spouse. Mr. Allison signed himself & his wife up for one of those accounts forty three years ago, but when his boys went in to claim the benefits they were told that benefit program was stopped. When Mr. Allison's wife died in 1992, the benefit was honored. No one in the Allison family was notified of this change. Both of the Allison boy's had this same account for themselves and their wife but when told it was no longer in effect they removed the money and placed it somewhere that it will draw some interest. There's not much interest available anywhere now but think about the years gone by that it could have been drawing interest. If you have this account with Northern Star Credit Union, please ask if this insurance benefit is still available to your family. Come Home to Cradock 2009 is ready for delivery. Please E-mail your home address, so I may mail a copy for placing on You Tube by the Cradock Homecoming Committee. David Hartman submitted two photos taken at Come Home to Cradock 2009. You can see them at this link. The photograph below was taken last weekend, during the 50th year reunion of the class of 1959 at Virginia Tech. The three “boys” in the picture are also 1955 graduates of Cradock High School. At Virginia Tech’s 50th reunion, those who attend become members of “The Old Guard”, an honor for surviving after college graduation after 50 years. The three “Cradock Boys” in the photograph are, Colonel T. O. Williams, III (left) retired from the U. S. Air Force, Ralph Hicks (center) retired as President of Sovran Bank/ Maryland (now part of Bank of America) and Richard Leary, (right) retired as Curator of Geology for the Illinois State Museum. Williams was Chairman of the 1959 Class Reunion and Hicks served on the committee. The September issue of The Shipmate is now online. My apologies for the delay in posting it. The Come Home to Cradock video from 2008 is back on YouTube. It may be temporary. Last time it was removed from some reason. Click on the link below to get a preview of what's in store for you this year. Cradock Alumni & Friends on Facebook now has 295 fans! For those of you with a Facebook account, someone has posted a video of a 1979 T-ball game played at St Julien's Creek baseball field. Visit the Cradock Alumni & Friends Facebook page. We now have 201 fans! This will be a good place to connect with your old classmates and friends. Does anyone have contact info on Tommy White and/or John Lloyd or 1970? Would like to know if they are coming to the Oct. Come Home to Cradock event? Cradock Baptist Church will also be celebrating their 90th anniversary! Cradock Alumni & Friends is now on Facebook. First, I'd like to say thank you so much for your efforts and devotion to this web site. I had no idea the school had closed. I attended for two years, 1964 and 65. I've recently been looking up old friends. I would like to find a person who was my best friend when I lived in Cradock. Her name is Sheila Michaels. That was her maiden name. I have no idea if she is married now or not. Thanks again for your hard work!! You are welcome. Thank you for your comments. My brother, Thomas Micheal Jenkinson graduated from Cradock in 1964. He was good friends with Jack Parrish, Raymond Lee and others I cannot remember, but I saw those two names and remembered them well. My brother passed away December 1998 after a courageous battle against cancer. He was a community leader in Apple Valley, CA and father to three sons. Beloved brother and son, he is missed every day. My name is Sharon Boatwright-Gonzales and I would have graduated in 75. Please feel free to contact me at sgonzales1@q.com Am also looking for Yearbooks from 71-75. Did your grandma, grandpa, mom, dad, aunt or uncle attend Cradock High School during 1945? If the answer is yes, you might find them in the 1945 yearbook now online. Here is a link to the index. If you are not interested in scanning through the old yearbook, at least take a look at the school mascot. In this book you will find the names of Cradock boys who went off to the war in 1945 and those who died in the war. Also, for the family historians who visit our site, you will find for each senior; the home address, and the state, city (if not native to Cradock) or school the senior came from. I hope you enjoy this old yearbook! All those who have attended our Come Home to Cradock celebrations have witnessed the beautiful Paver installation at the historic Cradock Gazebo. 266 engraved Pavers have been placed to honor the lives and memories of family members, friends, and classmates. Many in attendance expressed the desire to also order a Paver, so we will have more Pavers ready for Come Home to Cradock 2009. The deadline for Pavers for Come Home to Cradock 2009 is August 15, 2009. If you wanted to purchase a Paver, you have until August 15, 2009 to submit your order. If you get a chance to visit Cradock, be sure to stop and see just how beautiful these Pavers really are. 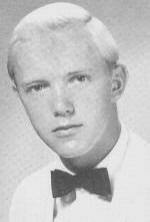 My brother Harry Randy Florke, Cradock HS Class of 1972, passed away on June 22, 2009. I have attached a copy of his obituary if it can be included. If the first one with his picture is too long, a shortened one appears below the first. Thank-you, Renee Florke Belfore, Cradock HS Class of 1976. Hello and thanks for any help. I am looking for Susan Peters from the Cradock High School class of 1984. She was the class Valedictorian. Thanks again for any help. Back in the fifties Portsmouth’s school districts were divided so that many of our Cradock graduates went to Junior High School at Alexander Park and many Churchland graduates from the Simonsdale area also attended Alexander Park Junior High. During the past week, students from Churchland class of 1958 have commemorated their beloved long time Principal, Frank D. Beck, with the purchase, dedication and placement of a park Bench at Portsmouth’s Hoffler Creek Wildlife Preserve. Donna K. Whitesell, chairperson of the 58 Churchland 50th Class Reunion and Donnie Whitesell, chairperson of the 57 Cradock 50th Class Reunion attended the dedication and the question was raised, What is Cradock doing for its beloved long time principal, Judson J. Booker? Any ideas? Contact revelerbk@cox.net if you do. Update: This gentleman has found a family member in California who may be able to help him with information about the Burnham family. Thank you to anyone who offered suggestions. My name is Johnny Mack Rawls, a graduate of Cradock's 1956 Class. I found a 1957 Cradock Class Ring with the initials (P.A.W.) which appears to be a girls' ring because of its size. I checked the 1957 Year Book and found a Phyllis Anne Williamson listed. It's very possible that this may be her ring. Should anyone know this person or anyone else that may have lost this ring, please contact me. I can be reached at jmrawls@cox.net or (757) 483-1747 (Leave message). by the author of News and Notes, class of '57 newsletter. Tribute to Suzie Oliver-Trefny ('57) written by Alma Brown-Hall ('57), Suzie's best friend. Suzie died May 3, 2009. Yesterday, a triple "Cradock thing" happened at Virginia Commonwealth University in Richmond. I, Glenn Stephens (Class of '74) gave my brother, Charles Stephens (Class of '68) a bone marrow transplant, as his wife, Carolyn Stanley Stephens (Class of '72) stood beside him. Please keep our family in your prayers. Charles has a long road ahead of him in his battle with leukemia. Remember Glenn, our retired Webmaster, and his family in your prayers. Our schoolmate is a famous chef. Monroe Duncan class of '58. Virginia (Ginger) Frazier-Bondoc (62) is currently undergoing physical and occupational therapy. I am sure she would like to hear from some of her classmates. She will be there for about six weeks. The February 2009 issue of the Class of 1949, 50 & 51 Shipmate is now online. The latest edition of News and Notes is now available for your enjoyment. Received this from Len Hamilton class '69. Rocky Smith was in the class of '68. Steven Smith attended Cradock but dates are unknown. I'm sure some of you remember him. Please keep Steven and his family in your prayers. Talked with Rocky Smith's mom and sister, Susan, yesterday about Steven. He is in bad shape. Problems with "depleted potassium levels," general body weakness and memory loss. You may recall that Rocky died last year after prolonged hospitalization of pneumonia resulting from supernuclear palsy, a rare form of Parkinson's disease. facility as was his brother. She and his sister are pretty much at wit's end with the situation. They don't want to lose another family member. His dad died of cancer just a few years ahead of Rocky. Your prayers are sought for resolutions for Steven's care. He doesn't use a computer -- thus no email -- but his phone number is 757-399-7422 though he probably won't answer. Leave a message for him if you can call and offer a few words of encouragement and support. Steve and Rocky were founding members of The Sound Effects in the 60s; Steven was also lead guitarist with Journey Back. He lives across the street from his mom on Baldwin St. in Portsmouth. I'll send the address if you think you can visit. Will keep you updated as I get news. Thanks for listening. Visit Gary Fields ('65) CaringBridge website. For some strange reason a link to this site will not remain valid after a short period of time. If you would like to visit the site that Gary's family has set up for him go to http://www.caringbridge.org/ (link not active) and type garyfields (all together-all lower case) in the "Visit a CaringBridge website" field. This should take you to the site. Gary's family has been keeping a journal of his illness since Nov. 2008. Many people have signed the guestbook. Hopefully, some of his former classmates will do the same. Eventually the family plans to have this site printed in book form. There is notification that the site will not be available Mar. 28, 2009 from 6:00am - 3:00pm CDT. Hopefully, you will be able to read Gary's story going in this way at any other times. The "Come Home to Cradock, 2008" video is ready! 25% of the sales proceeds will be forwarded to the Cradock Homecoming Committee. The latest Gail Baker News is now available. Due to the fact that obituaries come in so frequently I have decided to place an update in the upper left corner of this page each time. They will not be posted in this area anymore. Bev, the website is fantastic. I haven’t checked it for a while…very well done. Please change my email address to jegjr65@aol.com. Many thanks, and keep up the great work!! I was wondering if the Class of 1978 was having a reunion this year and if anyone who may have graduated in that year is planning a reunion. My home E-mail address is g.l.beacham@yahoo.com. The class of 1968 recently lost a former classmate. Phyllis Leigh Doughtie-Sox passed away in Jacksonville, Fl. on Feb. 5, 2009. Phyllis Doughtie-Sox Memorial Page Please remember Phyllis' family in your prayers. Fifty years ago today we lost a music making trio in a plane crash. It marked many of our lives. Perhaps some of your site’s regular viewers will enjoy this YouTube feature. I did. Papadon was able to add some names to the 1947 James Hurst class photo. The December 2008 issue of "The Admiral", class of 1953 newsletter, is now online. Attended Cradock High School as Betty Lou Brown. I graduated from CHS in the Class of 1969. Would love to hear from anyone from the class. Has anyone heard from David Lindsay or Paul Ford?? Donald Becker ('52) has shared with me two new photos from the late 1940's. Thank you Donald. The October issue of the Class of 1949, 50 & 51 Shipmate is now online. Click here to go to Newsletters page. This just came in from Don Caffee (59)...."I can still hear Mr. Booker on the PA system. "If anyone knows where Mr.
Smithey left his tools, please contact the office." I guess he's found them now. RIP for a nice guy." If you are on Gail Baker's email newsletter list, you have already received this. Thanks, Gail. A lot of people look forward to your newsletters. It mostly makes them smile and feel good, except when there is sad news to report. Thanks for allowing them to be posted on this site. Is it possible to add this to our web site. I think it would be a good idea for alumni to be in touch with the current concerns of the Cradock Community and to have access to the council members. SaintaKlaus graduated from Cradock! Clifford Mann, a 1967 Cradock graduate, plays Santa Claus in his hometown in TN. He spreads the word to the children about Jesus being the real reason for Christmas. Clifford has a website that he would like to have you visit. He loves his ministry and wants to share it with everyone. The latest News and Notes, Class of 1957 is now online. Hey Janie, Looks like you guys do a very fine job with the site already! Thanks for that! I like the message board. On occasion, I see a name I recognize and it brings back good memories of the 50’s and Cradock. Recently I saw Fred Zerkle leave a note. I’m sure he knew my brother Charley. The Zerkles lived down the street in Alexander Park. Boy, that was a long time ago. Thanks for what you do! Thanks, Buck and you are welcome. You should post something on the board to Fred. I'm sure he would be happy to talk with you. He has been a faithful contributor to our site. A new link has been added to the Newsletter page. Cradock in the late 1920's. If you are interested in Cradock history this is a good place to look. Our latest Cradock Alumni found in the news. Great job on the website. It looks like you have a lot of contributors. I don't live in Cradock, but I have a lot of friends there and spent a lot of time in the neighborhood over the past 60 years. Are you using Bravenet photo services? I have started posting my photos on my Flickr site. I had all of my photos from the past five years in my AOL online album until they closed it on Dec. 31, so I've started over. I also am administrator of a Group Pool for Portsmouth Walkabout which features Portsmouth pictures exclusively and would love to have some good images of Cradock added. If you know anyone interested, they can join Flickr and start their own Pool and name it "Cradock" or whatever they choose. Flickr is very user friendly and has lots of features. Did I mention it was also free ( 200 pics I think, with the option to upgrade ). Anyway, just a thought. Feel free to peruse the album and add me to the mailing list so I won't miss any exciting happenings in Cradock. All of the newsletters that have been published by the class of 1953 are now online. They can be found in the Newsletters box on the left of this page. Today I read all of the newsletters that were published in 2004 and indexed each one as I read it. You can find the index here. The index will tell you the name of the article, the author and in some cases a synopsis of the article. Hopefully this will make finding your favorite articles or author easier to find. As I read the other years, I will index them as well. If any of you are interested in medicine, you may want to read about the 1952 Cradock graduate who made medical history. Look in the "Alumni in the News" section and follow the link. For those of you who are enjoying the 1953 class newsletters, there are four more issues now online. Nov. & Dec. 2004 and Jul. & Aug. 2005. These are large files suitable for downloading, printing and reading offline. 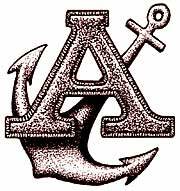 There are additional issues of "The Admiral" newsletter now online. "The Admiral" is the newsletter published by the CHS of 1953. These are some of the original issues when "The Admiral" first came into existence and Fred Zerkle was the editor. Many of them are in color and have different fonts, icons and some great pictures. They are very interesting and appealing to the eye. There are four new issues now online and many more to come. Barbara Toth Underwood, class of '57. My current email address is bpunderwood@bellsouth.net. Thank you for all you do to keep this great site up to date. What a great site! The new website is really great! Thanks to all of the hard work. Please change in the directory. Pennie Daniel Duggins class of 1964. Some of you have been waiting for another newsletter from Gail Baker. Gail has a Christmas Eve surprise for all, a newsletter. See Gail's Christmas Eve newsletter by clicking here. Parker, class of '68, would you please email me as soon as possible? An old issue of the school newspaper, The Shipmate, was provided by a 1960 senior. It is dated June 9, 1960, the last issue of the year. It was printed on 10 x 14 paper. Email verification has been sent to every alumni listed on our "Registered Alumni" pages. Many were returned for one reason or another. Those names now have an asterisk beside them to alert the mailbox owner when or if they visit again. Some have other messages indicating what the problem is. Please check your name. If there is an asterisk beside your name and you want to remain a registered member of this FREE site, please provide a good email address by sending the request from the email address you want to be contacted at by fellow alumni. If you have friends with an asterisk by their name and can let them know, that would be a great help. We want to be sure that our classmates and others who might find the site and want to contact us will be able to do so. Any email addresses that have not been corrected by February 1, 2009 will be removed. Thank you for your cooperation. Odford Lassiter did not graduate from Cradock but he did attend Cradock for several years. He lived with his family on Deep Creek Blvd. He would have been in the class of 1961. A Memorial for him was in the Dec. 5, 2008 issue of The Virginian-Pilot. Some of you may remember him. Note: An obituary appeared in the 12/14/2008 issue of The Virginian-Pilot. Odford would probably have been in the class of 1959. Hello, My name is Derek White. I graduated from Cradock in 1987. I played 3 years of varsity basketball. Some of the old timers are playing in an Old School basketball tournament at Woodrow Wilson high on 12/26/08 starting at 4pm. I wanted to know if we can post this on our site? We would like all alumni to come out and cheer us on. The field consists of: 1st game young Wilson vs Norcom......2nd game Manor vs Cradock and 3rd game Old Wilson vs Norcom.....Norcom has posted this information on their website and you know their fans will be out. The cost for all 3 games is $5 for adults and $3 for kids. 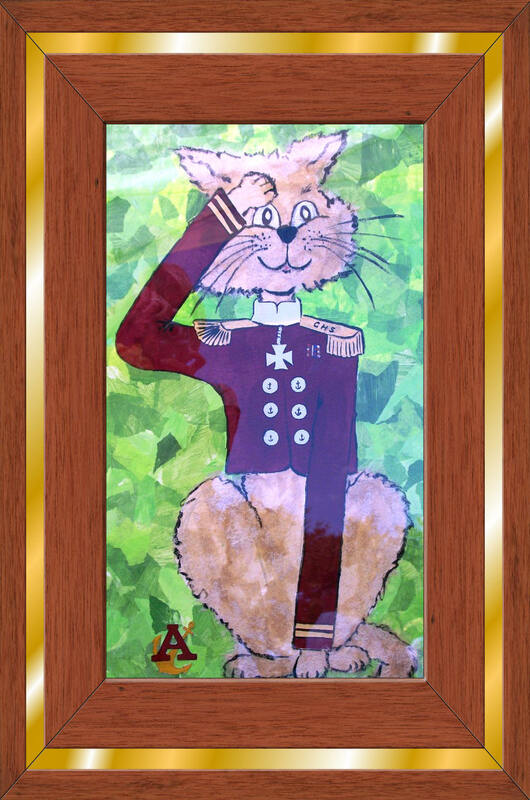 The Début of "Admiral Catdock"
Nancy Swisher Burch a 1957 graduate of Cradock High School is an Artist. Her website is great fun. Visit it when you have a chance. http://www.nancyburchart.com/CatSlideShow/NancysCats/index.html (link not active) Nancy lives and works in Deltaville, VA and as a working artist specializes in cats. She created "Admiral Catdock" as a free raffle giveaway prize for the Saturday Night banquet at the 50th class reunion. Her 57 classmate Barbara Toth Underwood won the drawing and took the original watercolor of Admiral Catdock back home to Georgia. Nancy is offering "Admiral Catdock" to other interested Cradock alumni. Nancy's contact information is at the bottom of the photo of "Admiral Catdock." Click on "Admiral Catdock" to enlarge photo. There is now a page with links to all the photo albums on this site. A permanent link will be on the homepage at all times. Please review your email address to insure we have the correct email address for you. Closed email accounts must be removed from the site. It was reported to me today that Roger Glenn Williams, class of 1954, passed away Feb. 8, 2008. Good Morning Janie, I am Aldridge Carey, class of '62,. My Wife is the former Billie Lou Sanderson of the class of '60. We have had a change of e-mail address. Please note that our present e-mail address is: <anbcjr@yahoo.com>. Thank you for your e-mail and best wishes for the upcoming holidays. Please add me as the contact person for the class of 1958. Thanks Jerry. I know the class of 1958 will appreciate having a Point Of Contact. Welcome back to Cradock, Michael. Class of 1973, remember Michael? Why don't you contact him. Sounds like he would be delighted! interested in the latest hard copy of the Alumni Directory. My name is Debra Morgan-Thomas. I was suppose to graduate with Class of 1979. I left 3 mos before graduation to get married, I got my GED. I want to register as an alumni. Also I lost my copy of my yearbook. Are there anymore available. My maiden name was Debra Windley. Today I did a blanket email verification for all of the classes of the 1950's. I received this from the email address listed for James Aydlette. Please keep James' family in your prayers. I'm sure the holidays are going to be rough for them. Thank you for all your time and talent in keeping this website updated. I would like to take this opportunity to send each one of my classmates ‘Best Wishes for a Safe and Happy Holidays. Your are very welcome, Joyce. I'm glad that you enjoy the site and thank you for your support. Happy Holidays to you and all Cradock Alumni & Friends from cradock.org. Holland Anderton ('55) submitted a few pictures from his happy days at Cradock High School. We really need to give these people a name. If you can help, please let me know. It is with great regret we report the passing of Donna Hahn class of 1962. This is a great start to Carol Galford's request to hear from or about former Cradock teachers.! Any other teachers out there? Please contact Carol Galford at hollydune@verizon.net or call 757-422-3060. Thank you Mr. Affeldt. We truly appreciate you and your support to the Cradock website. This is such interesting information. Feel free to add to it with another edition at any time. You requested information regarding former CHS teachers. I am one. In 1950, my first year of teaching I was the Industrial Arts instructor at Deep Creek HS at a salary of $1800. Then beginning in Sept. 1951, I taught several sections of Mechanical Drawing and one period of Crafts at CHS. My salary was $2100 for 9 months. Then again from Sept. thru Nov. 1952 at a salary of $2400. I resigned to accept a position of Drafting Instructor at the Norfolk Naval Air Station Apprentice School at a salary of $4600. Mr. Booker was a special principal and he released me from my contract because of the increase in salary. In July 1958, Mr. Booker again hired me as Coordinator of Diversified Occupations after I received my Masters degree. I replaced Mr. Sease who became Assistant Principal. He and Oral Ware, the DE Coordinator are both dead. In 1959, I was the Senior Class sponsor. I still see and correspond via email with 3 of my former special DO students. Mr. Booker was a special mentor for me and we remained friends over the years until he died years ago. Then 1960, I left Cradock HS and moved to Winston Salem, NC where I accepted an administrative position in a school that later became a Community College. I was President of that College later. One of my staff members at the College, was Glen Fleeman who was one of the DE Coordinators at CHS for a number of years (1958-1963). He is still living in Winston-Salem and I see him frequently. I exchange Christmas cards with Ann Tate who was the Home Ec teacher at CHS in 1951-??. She lives in Great Bridge. Also, with Ed Habicht who was the Ind. Arts teacher at CHS in 1951-??. He lives in Vestal, NY. I graduated from CHS on D-Day 1944 and immediately went in to the US Air Force. After my discharge in 1946, I went to VA TECH with the help of the GI Bill and graduated in 1950 and later got my Masters degree there. This is enough bio information for now. I still correspond via email with 8 of my CHS classmates. Feel free to contact me if I can help you. In case your memory needs a jog, I scanned these yearbook photos. Your Webmaster. I received email identifying another child in the old Williams Court Kindergarten Photo located at my Rootsweb site. My mother is in the photograph. She is second row, #4. Maureen Ann Doyle. She is retired and living in Virginia Beach. Thank you to Sean O'Connor. Does anyone recognize themselves or someone else? Patricia Hasty Redditt died on November 4th and her obituary as printed in the Virginian Pilot is attached. (Pat's memorial page). I believe that Pat was a CHS 56 graduate. Donald and Pat lived in Portsmouth. Christmas is coming to Cradock. I am posting email, sent out by the Cradock Civic League, for those of you who did not receive it. Be sure to check their website to see what is going on in Cradock. Some of you have been waiting for reunion pictures. A few have finally arrived. Hope more come soon. Photos of the 1967-68-69-70 class reunion Saturday night event provided by David Hartman. A message to any former Cradock High School teachers who may visit this site. I have heard comments such as this from other students of yours. They appreciate you more and more as time goes by and they will never forget you and your guidance! Hi Janie, Thought you might put this on our website when you get a chance. It would be great, as Ken stated below, to let all the teachers know how much they are still loved and appreciated. I know many have passed and don't really know how many are still with us. I know Vito Morlino, Charlie Wade, Richard Huneycutt, Harriet Heath and Sharon Harold are still alive, to name a few. Hello, my name is Ken Capps and I attended Cradock from 1956 to 1959. I often think about the wonderful teachers I had. I visited the Cradock website and see a lot of them are gone. I wish I would have taken the time to let them know how nice they were to me. Now, for most of them, it is to late to let them know. The ones that are still with us, I don't know how to reach. If you do know how to contact them would you be so kind as to tell them they will never be forgotten. If you want to read a paper packed full of insight about Cradock and its community, then here is your chance. The author’s in-depth perspective comes from an alumnus who lived in Cradock from 1941 thru 1961 and class of 57. The paper is not lengthy or brief, but falls somewhere in between. It is a delightful quick read and a guaranteed very worthwhile account our beloved Cradock and why some of us feel its greatness. Those who have taken Cradock for granted, like myself, will come away with a different perspective. Thanks Bernie K. for sharing a paper that one can tell after reading has a lot of your heart in, as well as a huge amount of your time invested. It is indeed an honor to have attended the same school that was blessed to have its halls traveled by you. I would love to read some more of your work. CWM class of 67 and neighbor of Cradock, from 1949 thru 1976. A humorous, warm and very heartfelt account of a Tennessee country boy's memory of meeting and life with his special angel from the class of 1969. “The Great One”, Monroe Turner Duncan is indeed ours. He is a wonderful man, who has devoted his career to food and feeding business in various places around the country. He is a big man with an expansive, sometimes irascible, but predominantly loving personality. As you know, he is a celebrated Hampton Roads Personality. As a Cradock student, Monroe lived in Brentwood. He was in our band at Cradock, played first chair French horn, and in his senior year was “Student Conductor” for Mr. Linzey, our beloved band director. Monroe attended Duke University after Cradock and later Old Dominion University. I was in class with him once in the famous E. Parker Lesley Jr. Art History 121 class that in retrospect I consider one of my truly great “C” grades in my arduous 7-year quest for a degree. I crammed for the exam with Monroe and I believe that his help that night carried me to the cherished low “C”. When it was easy, a few years ago, I listened to Monroe’s radio show for a few months and once even called in once to identify Nikolay Andreyevich Rimsky-Korsakov as the writer of “Procession of The Nobles” a musical selection featuring Brass…and the inimitable Monroe…we played in the Cradock band. Through the years, I have eaten in Monroe’s restaurants in various Hampton Roads locations and each time I have enjoyed the special treat of Monroe’s hospitality. For years, I have steered others to wherever I knew he was. I do not think he is cooking regularly anymore…the job takes a toll on a young man and Monroe is on the dark side of 67. First of all the site looks great! Thank you for all the hard work and effort. I just wanted to express my sincere apologies to Kimberly Chatman for her bad experience at the reunion on the 18th. Perhaps she does not realize that the pictures on the boards come from participants from the classes represented. If she saw nothing for her Class that means no one from her Class was interested enough to participate. Since she indicates that she does not want to be contacted and will not be attending any more of these functions unfortunately this message won't get to her but it seems that judged on her and her experiences the Class of 1990 has chosen not to participate and yeah "that's pretty partial". They will miss great joy and friendship. It's a little like voting…..if you don't participate…then don't complain about the outcome. Perhaps Kimberly should think about contacting some of her classmates and attempt to get involved. The Alumni Association would welcome any assistance they could receive. On a positive note: how nice of Clifford Mann to take time to write about Robert Worrell. It was a lovely tribute and the main reason we started adding the obituaries to the names. Those that have passed will not be forgotten! Robert Earl Worrell was in the class of “66”. He was the nicest young man I had ever met. I didn’t know him that well in high school as I was in the class following his and hung mostly with the classes below mine. Fortunately I did get to know Robert while working together at the GE plant although for only a few months before he had to leave for Vietnam. Robert began his tour in Vietnam on Oct. 19, 1968, just about two years following his graduation, and he gave his life on July 13, 1969 in Tay Ninh, South Vietnam. Robert was only 20 years old when he died, three years after graduating from Cradock now more than 40 years ago. We all who read this memorial have lived 40 years passed Robert. Robert never experienced the life of being a husband, a father, or something so worth living for, being a grandfather. Something I feel that is the worst thing that could happen to Robert or any other brave young soul on earth, second to dying so young and not knowing Jesus, is to be forgotten. We can do something about the later. If you want to send a memorial to Robert please visit the following site. Thank you Robert for what you did more than 40 years ago for us and our families and our country. Rest in peace our fallen Admiral knowing your classmates have not and will forget you and what you did for us....you gave the ultimate and for that you most definitely and honorably deserve to be remembered. If anyone has pictures made at the "Come Home To Cradock" reunion held yesterday, would you please share them with this website. Also, people from out of town are wanting to know who was there and how it went. If you can write a note (to be posted here) about your day at the reunion, others will certainly appreciate it. Folks out of town yearn to hear about what goes on in Cradock. My name is Clifford Mann class of 67 and I am writing this message because I feel the worst thing that can happen to a fallen hero, second to being killed in a war at a very early age, is to be forgotten. Almost 40 years ago, on July 13, 1969, Robert gave his life in South Vietnam at the age of 20, only 3 years after graduating. Those who are reading this and I have lived these lost years of his. Forgive me if I have left out any fallen hero/fallen Admiral, you can either look them up or send me their name and I will find their memorial page and add it to the message board for you. Robert and Graham gave their lives in Vietnam and I'm sure there were others in wars before this and probably some after. Let’s remember these brave men and women for what they did for us. I attended the reunion today. I didn't see a single soul from the class of 1990. I don't blame them, either. I was pretty disgusted after having walked down "Memory Lane" that was in the building. Who picked out the pictures? There wasn't even a full class picture of 1990. I didn't see me *or* any of my friends. I saw the same people over and over in the photographs. I didn't even see anything up on the boards about the last few classes. That's pretty partial, don't you think? I will NOT be attending any more of these functions. Please remove my email address from your records. I do not want to be contacted. Cradock in the news with something fantastic! Portsmouth church named host site for Angel Food Ministries. I was very fortunate to have Dawn Windley, herself, contact me. they are definitely a collectible with many wonderful memories enclosed. And, many thanks to Glenn for maintaining this wonderful site. Butler, CHS Class of 1968.
several years then went to work for Philbrick, Inc. as payroll clerk/Accounts Clerk for 23 yrs. the days that have gone by boy oh boy.. I would love to re-unite with class of '75 and '76 mates..
too many posts from '69. Thanks for the hard work on the site. and was just elected as one of 15 vice presidents for Balzer and Associates. He now runs their new River Valley office. As his sister I am proud to announce this so everyone will know how hard he worked to become what he is today. Head, Battle of the Bands at the Dome which they won, Sloopy's on Canal Drive in Chesapeake VA you know what I mean. brain tease you and may remind you that you were actually there. of the group. I hope this will all take you back and bring wonderful memories from our school days. of London Blvd and Effingham St.. About a week ago his uncle and owner of the business became ill and had to close its doors. at 4650 Portsmouth Blvd. 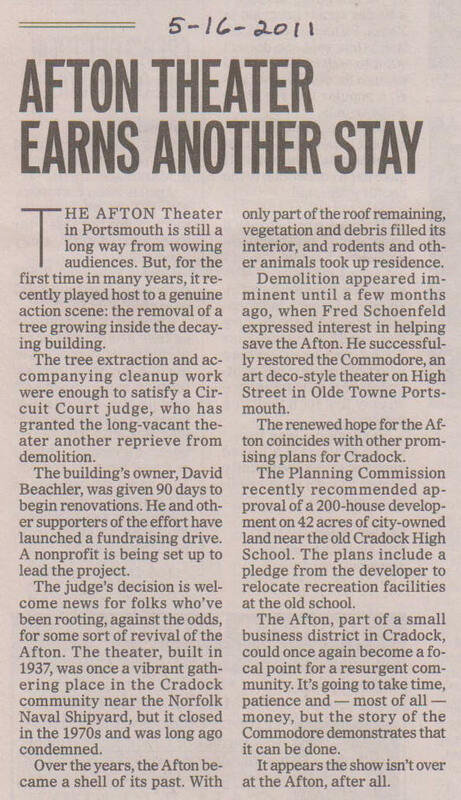 in Portsmouth, 488-1964, starting this Monday April 28th. Thank you so much. in Harry Hunt. It was horrible at Hunt. I dropped out and got married to the first guy that paid me the time of day. period of time. Mr. Mitchell was the math teacher with the roving eye and "TAB" AKA Mr. Bernard was my science teacher. Keller Blair and four sons, Kyle, Cody, Noah and Nolan (not twins) Krystal joined the Navy in 1995 and is stationed in Pearl Harbor. the Park more then you know. Thank you, Joy. dear friends, also she allowed me to take the top seat in the Christmas in Cradock, it was good to be back home. an RN and works in the Portsmouth area, our son Nick works part time for the Carrie-B and full time for Columbia Gas Transmission. We all now live in Portsmouth. say I am a 1973 grad of this fine school. Anyone wishing to contact me can do so by e-mail at biggbill98@aol.com. After graduating from Cradock in 1965. I started in the Apprentice School at Norfolk Shipbuilding and Drydock. NC in 1968 and started working for The City in October and got married in November. I lived in the Charlotte area for 35 years. Concord, NC in the Emergency Room as a Patient Advocate. woodwork and make hot sauce and barbecue sauce which I sell under the name JEB's Sauce. It does not seem so many years ago since I was enjoying my years at Cradock but time does move on. To all my old classmates I send my greetings. ATTENTION - CLASS OF 1957 ALUMNI! and identifying folks from long ago and their spouses. Her cut lines are fun to read. Some of her videos are charming. thing to attending our class reunion, and for those who have lost their yearbooks it will be a treat. I am looking for Connie Clayton, or anyone who may have responded to her message some time ago when she was looking for me, Jenny Lassiter, Class of '83. The email address that Connie posted is no longer valid so I hope that she is still reading this message board. I am no longer in the Hampton Roads area. I live in Chesterfield County and I would love to hear from you! Please email me at Jennynva@verizon.net. their parents, (i.e., hand prints and Christmas cards) and lots of information tables will be set up to educate the community about the services offered and available both here in the Cradock area and in the city of Portsmouth. The Boy Scouts will be selling chili and hot drinks while the Cradock Little League will be selling hot dogs, sausages, and cold drinks. do a fund raiser if you would like. Biltmore and attended grammar school in Cradock and Cradock High School in the 8th grade. I was a Junior Varsity Cheerleader. Kentucky while he attended Morehead State University. Our first child, Lisa, died. We had two other children, Kevin and Nichole. contracting business. I am a registered nurse. I have lived in Suffolk, VA for 20+ years. I am no longer married. get me a T-shirt, I can be reached at imabrat301@hotmail.com. This is Shirley Stout class of "65". I had asked for a copy of a 1965 yearbook, and Doug Taylor class of "66" was kind enough to send me his. A big THANKS to Doug. Hello! This is Kim Talley class of 73. Would love to hear from anyone that remembers me. Would anyone know the whereabouts of Donna Pennington? She was a dear friend and I lost contact with her. I now live in Newport News, VA and married to a Navy man. I have two children. Katrina, she is an RN and a son, recently discharged from the Army he now works at Hampton Roads Sanitation District here in NN. BRIAN-KIM-1994@COX.NET. Would love to hear from anyone. Howdy Everybody :) This is Debbie Tidmore.... I go by Debra now, however, if you remember me, please email me @ debtidmore@sbcglobal.net. If you please, I am looking for a copy of the Class of '71 Annual. Mine was lost in a fire, no not home, in a barrel burned on purpose by someone who just decided I didn't deserve to have it anymore. :( Thank You and God Bless You all. I am looking for a '74 yearbook. If anyone has one that they would be willing to sell, please email me at samanthiaiam@aol.com. I would personally like to thank the Cradock High School Class of 1966 Reunion Committee for an outstanding job. The entertainment, food and atmosphere were wonderful. The “Remembrance Table” was so beautifully done and touched all. It was good to see everyone and to be able to reminisce about the good old days and to catchup on each others lives. Hi. I don't know if you remember me. I do remember you. I graduated in the Class of '74. Cheryl Jordan (back then it was Gustafson in my last year) now O'Connor. I live in Herndon, VA, a suburb of Washington, DC. It's close to Dulles Airport. I am coming down for the Come Home to Cradock Parade, October. 21. Would love to see you again. I am trying to get a few people to be there. I think I can get Sheree Beecher to be there as well. We had a kind of mini reunion in September. Kind of spur of the moment. It was me, Linda Ford, Nancy Faust, Donna Whitt, Bobby Garza, Rusty Tracey and Alben Sellers. We had a ball. We met at the Taphouse in Norfolk, close to Waterside. If you go on the Classmates.com website there is a photo album there with some pictures of us. We are trying to get a group together that night to talk about a reunion. So far, I have not gotten a whole lot of interest. Maybe you know some folks who would be interested. We could do a combined reunion for the Classes of '70 to '75. That would be cool. Hope all is well with you. Take care, Cheryl Jordan // email me at fgcgpoco@aol.com. Hello, This is Rebecca "Becky" Pope Hopper, class of '66. I just found the Cradock website and love it! My husband, Chuck, and I live in Great Falls, South Carolina. We have been married for 39 years, have 2 sons, and 4 grandchildren. After my youngest started school, I went to USC and got a degree in education. I was a 6th grade Social Studies teacher for 9 years at Great Falls Middle and am now the school's Media Specialist (librarian). I will not be able to come to the reunion in October, but plan to order the memory book. I would love to hear from one and all! My email address is: rhopper@chester.k12.sc.us. Hello, my name is Deanna House (Edwards), class of 1963. I would like to hear from any classmates. I am currently living in Chesapeake, VA. I am married to Harold House (Deep Creek class of 1962). I have 3 children: Jason, Daniel and Dana and four grandchildren-- boy does time fly! Doesn't seem like I should be as old as I am. Would love to talk to some other "Admirals" from '63! My email is deanna.house@verizon.net and my AIM screen name is TheyCallMeBugs. My name is Michael Lynn. I grew up in Craddock went to James Hurst elementary, Cradock Jr. high and Cradock HS for 2 years 1962/1963 and 1963/1964, moving to Seattle Washington with my family and finishing school in Seattle. So I would have been in the class of 1967.I have visited Cradock twice once in 2003 and 2004, it had changed a lot from my time there but some things were still the same. I used to live at 9 Jenkins Place in Cradock. If anyone remembers me send me a quick note. I was one of the "lost & found" from the Class of 66'......planning to attend the 40th reunion and can't wait to see everyone again. Like so many, I also have fond memories of ole' Cradock High and often go back to my yearbook and wonder where so many of you are now. Just amazing tho just how close we are to one another.....Bonnie Porter's son living in Jackson, Ms.....Doug Taylor living in Mary Esther, Fl. and here I am in Gulfport, Ms.!!! Keep up the great work and will see you in October!!! HEY Girlfriend !!! Was great to see your name on the message board. Brought back band and the time we won State. E-mail me so we can catch up. My name is Rita Babb, I think I would have graduated in 70 or 71. I am looking for friends who might remember me, and also, I 'd like to purchase any year books with my picture in them. I am writing my life's story in a book to be published. Thank you, Rita Babb. Hi, My name is Shirley Stout I was in class of "65", and have just found the Cradock site I would love to hear from others from Cradock. I have been wondering about several people, if anyone should happen to know about them I would love to get the info to contact them. First Larry Chin or Chinn not sure of the class between "61 and 65". Bill Smith, class of "65", also Marie Lee class of "65". My name is Ronald Bracy Class of 1966. I finally found the Cradock website and the date of the class reunion. I and some other seniors joined the Air Force while still in school. We all went to basic training 18 days after graduation. We drove the drill instructors nuts because most of us were on the track team at school.. I retired from the Air Force after 25 years, and now live in Durham NC. Looking forward to seeing my old friends at the reunion in October. A note to Richard Cessler, who joined the AF with me, My e-mail is rbracy1@msn.com drop me a line. Also, What ever happened to Rod Wade??? One of my grandchildren recently bought an old home in West Norfolk and found a trophy that was left behind. Here are some pictures of it. The front of the baseball says "City Baseball Champions 1934 Cradock"
Parker - SS I think this was "ACE" Parker ?? Powell - CF "Pearle' Powell ?? If anyone can identify these guys it would be interesting. Also, I would be glad to find a place to display this trophy. It is 6 inches tall and the ball is an official ball. Just discovered Cradock web site. I am from the class of 46. Ann Harris Oliver e-mail address oliver-ms@sbcglobal.net. Would love to hear from of my classmates. I'm Beverley Werz - attended Cradock '49-'50 -my freshman, sophomore years. 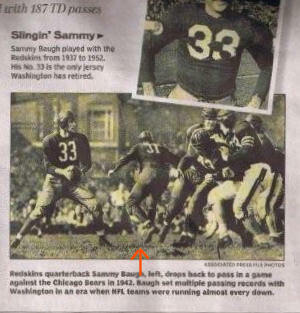 Would have been class of '52 but we moved to Annapolis Maryland. Would like to hear from anyone who may remember me. 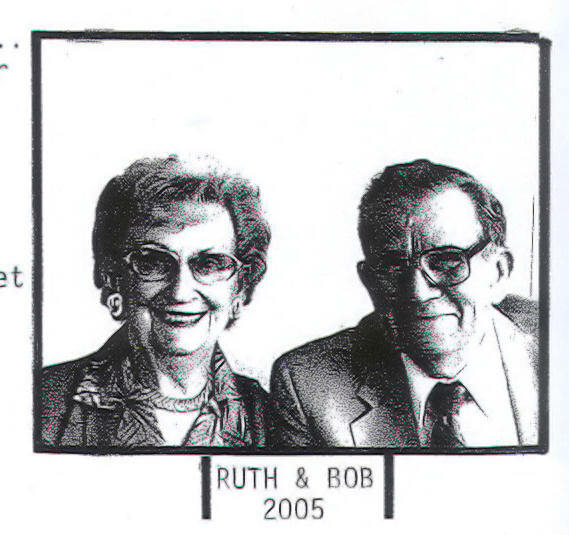 Particularly remember Barbara - who married Buck Coffman, Betty Daggett, Sue Mann, Jackie Morris. Whatever happened to these old friends? I've been married 52 years to husband Jim Stratton (retired Army officer) have three grown children (two grandchildren) and live in Arizona. Hope to hear from someone! ATTENTION CLASS OF 1985 !!!!! We missed so many of you at our 20 Year Reunion which was held on October 15, 2005. If you would like information about our involvement in the Come Home To Cradock event that takes place EVERY YEAR or information about a possible 30 Year Reunion, please contact either myself or Kim Shreaves Lowers so we can get your name and address. You'll find our information on the Alumni Points of Contact page. My name is Doug Taylor, class of 66, and I would like to say upfront that I love the Cradock website and I would like to offer a "ton of thanks" to you and all who work so hard keeping the website going. Hardly a day goes by that I do not have remembrances of the great times and wonderful people at CHS. I can honestly say the years at CHS are at the top of my list of good things that happen to me in my life. The best thing that ever happened to me was meeting my wife and friend of 36 years Aggie. Together we raised a family of two wonderful sons; Ryan our oldest (32) an Army Ranger for 15 years and Adam our youngest (30) who is an Electronic Engineer. In addition we also have two wonderful grand children Grayden and Noel. I have worked in civil service for the past 28 years in various capacities with the last 19 years as an Equipment Specialist with the Navy/Marine Corps and the Air Force. These positions have afforded me many opportunities to visit and live in strange and different places. I have had extended visits to Kuwait, and Saudi Arabia, and I have lived in Hawaii and England. Currently I am assigned to Eglin AFB, Florida and live in Mary Esther, Florida which is on the gulf coast of the Florida panhandle near Fort Walton Beach, Florida. Aggie and I intend to retire in 2007 and relocate to a golf community south of Ocala, Florida called the Villages. I would love to hear from any of my classmates or any Cradock Alumni. Jane Cox writes: "Each time I happen to meet someone from Cradock from so many years ago (rarely happens), I get such a giddy and nostalgic feeling. It all seems so "Norman Rockwell-ish." I recall my wasted youth with such fond memories and gratitude because it was my personal path to enlightenment, fortitude, humor, and peace of mind. In middle age, I don't deal with demons from the past... I just enjoy some really good laughs! My name is Sandra Martinez, Class of 1973. Hello to all. I live in San Antonio, Texas. I am presently the principal of an elementary school. Would love to hear from class of 73-74 grads. Hello fellow Admirals. My name is Gerald Ruffin (class of 1985). I am looking for a 1985 yearbook. Anyone who can help me locate one or tell me how to order one, please reach me at gmuz1@yahoo.com. I would also like to hear from old classmates and band / chorus members who remember me. Hello classmates Garrick Turner email garrick711@yahoo.com. I received an email that Wilson and Cradock are going to do the 30 reunion together i hope to hear from my class to let me know what's going on for our 30yr. I have found no contact for 1975, add me to the list of contacts. Hope to hear from everyone. Can someone tell me how to get in touch with Mr. Scott Weatherford? I want to thank him. I just saw the memorial for Kenneth Woods Class of 1981. Can anyone tell me how & when he died??? HELLO BUD FROM CLASS OF 67' I MISSED THE CRADOCK REUNION WITH GREAT DISAPPOINTMENT DUE TO A BROKEN BONE AND WOULD LIKE TO KNOW IF ANYONE HAS CURRENT PICTURES OF CRADOCK? I HAVE NOT BEEN BACK SINCE GRADUATION ALTHOUGH MY HUSBAND AND I LIVE IN TIDEWATER. FINDING THIS WEBSITE HAS BEEN A PLEASANT AN SAD DISCOVERY; SO MANY FRIENDS AND FACULTY HAVE GONE ON BEFORE US. "Contrary to rumors, we are alive & well"
In spite of the rumor that Emmanuel Episcopal Church is closing, we are alive & well and have no plans to close anytime in the near future. We are a small congregation now but still very alive & active in the community. I tried the 56 contact "Ann Kenny" and the letter came back undelivered. I'll try some old friends back home and see if they know anything. While I was attending a Special Forces Convention in Nashville, TN , Jimmy who lives close by stopped by and visited me at the hotel. The last time I saw Jim was in 1958 so we had a lot of catching up to do. Class of 72... this is Earl D. Yeckley... still alive & well (?) Living in Spokane, WA with my wife Nancy (none of you know her) and 3 of our 4 kids... Sophia (24) is finishing her Master's at Western Washington University (she did research at Oxford for a month & toured Europe for a month this year), Megan (15) my step-daughter, Judson (5) and Aronne (2... we had him just after I turned 50). Currently I am on disability, due to a failed back surgery, so traveling has to be a well planned thing. We are buying our home out here, but hope in a couple years we can all take a trip back there to see places & friends. My e-mail address is... theyeckleys@msn.com and I'd love to hear from any of you. For those of you who knew my mom, Jane Yeckley, she passed away in Limon, CO May of 2003. Hi, My name is Samantha, class of 1992. Im looking for some old friends that I use to hang out with and run with. I hope everyone is doing great and have done great things. Im currently stationed in Mayport fl. and just looking to talk to some old high school buddies. Anyone ever seen Billy Rea???? Drop me a line. Navy gets pretty boring after awhile. Hello my name is Dennis White and some of you may not remember me. I graduated from Cradock High School with the class of 1985. I played trombone in the Cradock Marching Band under the direction of Mr. William "Bill" Gibson and Mr. Thomas O.Hardy. I held the position as drummajor under the direction of Mr. Larry Lemasters. Mr. "Photo" Bailey was the assistant principal during that time. I was a Law Enforcement Officer for the City Of Portsmouth, Virginia for (17) years. I'm currently based out of the Detroit Field Office as a Federal Agent for the United States Government. After the events of September 11, 2001, I felt the need to assist my country with fighting the war on terror from the front lines. I'm currently married and blessed with seven wonderful children. My years at Cradock were great years. I made so many friends there and a few of them still keep in touch. I often think about those who stated "Dennis isn't going to amount to anything". English teacher Mrs. Vivian Brown from the Cavalier Manor section of Portsmouth, Virginia told me not to be discouraged because I wasn't an (A B) student. She stated the following to me when I was in the 11th grade (#1. Look at where you are, #2. Look at how you got here, #3. Look at where you wanna be, #4. Work your #%! off to get there and to be successful). I would like to thank Mr. Bailey, Mr William Gibson, Mr. Thomas O. Hardy, Mrs. Joyce Wiggins, Coach Darnell Johnson, Mrs Betty Ann Wright and Mrs. Vivian Brown for pushing me to the limit. I wish all Cradock gradutes "God speed". Hello. My name is Bill Pollard, class of '67. My wife, Susan, and I live in Harrisonburg in the Shenandoah Valley of Virginia. We have two children, Jennifer and Jeff, both grown up and off on their own. In 2002 I retired from Harrisonburg City Public Schools where I taught for 16 years and was principal of an elementary school for the last 15 years. I continue to work in education supervising student teachers from James Madison University and Bridgewater College. I’m sure many of you at Cradock remember my mom, Rose Pollard, who taught and was guidance director at Cradock until she retired in 1984 after 41 years in education. She and my Dad moved near us three years ago. Mom had a stroke 10 years ago, but is doing relatively well. Dad is 88 and also doing pretty well. I’d love to hear from any 1967 CHS classmates who would care to write. I attended Cradock for 3 years, but moved my last year and graduated from another city in 1970. Looking for anyone who was in Jerry Shackelford's math classes with me. I am also looking for '70 yearbook. Thanks! Hello, my name is Eric Miller, I am the son of Anthony (Tony) Miller and Cynthia (Cindy Tweed) Glaneman. My uncles are Mark Miller and Raymond Miller and my aunt is Teresa (Miller) Williams. They all went to Cradock back in the 70s and 80s. I have my dad's 1972 yearbook and a few other items from those years. I can get a hold of my relatives year-books too. If you would like to make copies just email me! Greetings Admirals, I didn't get to graduate with the 76' class, but most of my Portsmouth friends did. I was wondering if anyone knows how to get in touch with Nancy Bunting, Steve Bickley, Billy Mutter or Denise Reneau. I tried Billy's email address from this site, but it appeared to be inactive. Nancy, Steve and Billy were in the76' class, Denise was 75'. I left Portsmouth when my Navy Dad was transferred to the Canal Zone. I would love to get a copy of the 76' yearbook. Any info will be greatly appreciated. I would have graduated from Cradock High in 1991, but my parents bought a home in Chesapeake. I've been living in Atlanta for the past 7 years and I married a wonderful guy in May of this year. The last time I went home, I drove by the old high school and realized the concession stand was still on the football field, along with a few bleachers. I have a lot of wonderful memories of my time at CHS. Memories I will cherish for the rest of my life. Saw Terry Wilburn's email and I think a 30-yr reunion is a must!! Since we were friends with so many from the classes of '74 and '73, I think we should invite them as well. I live in Portland, OR, but promise to journey to the reunion if you plan it!! Has anyone been in contact with Darrell Tippy? Hello! I am a 1974 graduate of Cradock High. My name is Jay Grimes, and I would like to hear from some of the classmates from that time who remember me. I still live in the area and often wonder how everyone is doing. It seems like life is just flying by and just wanted to know how everybody was doing. My e-mail is jaysprays@aol.com. I look forward to hearing from some of you. Thanks, Jay Grimes. Does anyone have any information on the Class of 1984's reunion? If so, contact Grover R. Nash at grovernash@msn.com. Thanks! Hi! I'm looking for Kitty Meiggs. I understand she is listed somewhere on this website. She and I were friends and lost touch over the years. My name is Debra Tidmore. In looking up and trying to catch up with old friends, I also have a friend who needs to be listed with the fallen of the Class of '71. She and I were neighbors here out in Oklahoma in the late '70's but she moved back to VA. I called and we kept caught up on the latest with each other but after she moved back to Va she married, lost him, married, moved to Indiana, lost him, and she died in Sept. 2001. Alice's health went bad, she got pneumonia, went into the hospital, put into a nursing home, got well from that but after that, refused to eat, died Sept. 2001 before my latest letter reached her. I talked to her "Step-Grandson" and he told me of the latest that Sept. I will always miss the Class of '71's tall, red-haired girl, Alice DeArmond. Please list her with our precious fallen Cradock Alumni. Hi, Vickie (Burchett) Rhodes, I would have been the Class of '78 but moved away and got married. I now live in Wisconsin and would love to hear from anyone that remembers me!! My e-mail address is wi_snowlover@yahoo.com. Hope to hear from you soon!! Hi, my name is Thomas (T.W.) Day and I graduated from the great Cradock High School in 1977. Many things have happened in the years since. After graduation I served in the U.S. Air Force as a medic. Out of the active duty Air Force in 1981, I went into the active duty Air Force Reserve. I also started my construction company in 1981. In 1985 I started my sign company as a division of the construction company. Today they are two seperate companies, T. W. Day Signs & Graphics and Mid-Atlantic Builders. My companies are still in the Hampton Roads area. I attended ODU and the University of Houston, Houston, Texas. In 1986 I married Amy Marie, my beautiful Texas bride. We have three children. I think often of the great times I had at Cradock High and the great friends that I grew up with while in school. If any one graduated during the late seventies and would like to contact me, please do so. I'd like to know how other Cradock Alumni are doing today. Hi, William (Billy) Mullen Jr. class of 88, would have been but went into the service (ARMY) and got my GED there. Just remembered that I had a past and wanted everyone to know I'm not dead or a priest of an cult. Been married twice, have seven kids and live in Scranton, Pa. But hoping to bring family down, one of these years. Hello my name is Craig Cook, class of of 85. I am doing well. I am employed at sentara hospital as an anesthesia aid. I am working on my BA degree in social work. I just want everyone to know that being at Cradock was the best time of my life. I would like to thank Mrs. Trueblood, because she got the most out of me. Thank you. Hello! Class of 85 or 86. My name was Robin Booth now Zollars. I have recently moved back to the old house on Frailey Place. And boy has it changed over the years. I have 7 kids now and doing OK. getting ready to be a stay at home mom. 5 of the kids go to James Hurst and are enjoying the life of growing up in Cradock. The reason for my letter is to first to say hello to all the classes of Cradock High. And to get some help. I am on the board of the Cradock Little League, yes the ball fields are still there and going somewhat strong. After the hurricane the area was damaged pretty bad we need volunteers to help clean the area. We are going to be have work cleanup days in the month of January, February, and March to try to get ready for opening day on April 3. We all remember playing ball there. If any one has the time to help get the fields ready please contact me at zollars8@aol.com. We used to have nice fields they but in the past have not been taken care of. Some of you will remember Tommy Stice. His wife is the president of the league and we are trying to bring them back. Thanks for your help. Like to her from some of the old classmates I lost tract of when I moved to Massachusetts for 8 yrs. Sure would love to hear from some of my classmates. I had to miss the reunion as I was having my second surgery for breast cancer. I am doing great now. Many people prayed for me and God answered their prayers. Please some of you send me a note. Patty Hales Deane Class of 1963. My email at work is pjdeane@wfubmc.edu. My name is Johnny Bolduc and if I had stayed in school, I would have graduated in '62. I retired from civil service in '95 having work all over the globe as fireman for the Department of Defense, DAF civilian. After 9/11 I went back to work as Dangerous Goods / Cargo Security Special Agent with the FAA. When the new Transportation Security Administration was formed I transferred over to it as a Regulatory Special Agent. I reside in Orlando, Florida now, an often have lunch with Charlie Lewis class of '61, Charlie is a Fire Chief in the City of St. Cloud, Florida. Charlie also introduced me to the newsletter which I also enjoy reading and remembering names from the past. I have 2 brothers, Danny and Glenn who still reside in Portsmouth and so does my mother. I also had a brother Timmy who passed away a few years back of lung cancer. I have 4 great children, 6 grandchildren and 1 on the way, all doing well and I'm married to the same great lady, for 40 yrs. Things are good on this end and I was just interested in finding, if anyone still remembers me? I return to Portsmouth now and again and would like seeing some old friends. I do see some from time to time but not to many. If anyone would like to contact me they can do so by email abolduc@msn.com. From Hal Hostetler: Brenda and I will be returning to the United States for our final Stateside Assignment on the 11th of November after 24 years in the Caribbean Region. Below is our home and e-mail address and phone number. We look forward to continuing the sharing of ministry and keeping up personal contact with you. We hope to see many of you soon or within in the year. I didn't graduate from Cradock High, but would have had my parents and I not moved to North Carolina in 1978. I would have been a part of the graduation class of 1983. I attended the OLD James Hurst Elementary, Brighton Elementary, and Mapp Junior High. I enjoyed reading the Cradock High site and I've recognized a few of the names. Anyone know what has happened to Jennifer (Jenny) Lassiter? I know she didn't graduate either because she joined the Peace Corps. I saw her in 1985 but lost touch with her. We were great friends from 2nd grade through 7th grade. Hello, I'm Gene Holland Anderton, Class of '55, I presently live in Fernandina Beach, Fl. with my wife of 47 years, Patricia Owens, Class of '57. I am interested in finding Donald Smith Class of '54. We were friends in high school and both lived in Highland Biltmore when we were in school. If anyone knows of Donald's whereabouts' I would appreciate knowing as I haven't heard or seen him since we were in school. My Wife is also interested in finding Paige Sims, her friend in high school. Of course we would welcome the opportunity to converse with anyone from our respective classes or school. Thanks in advance for any information furnished. Hello... my name is Dennis Bridgers and I should have graduated in the class of 67....... but instead joined the Army on my 18th birthday, stayed a year in Germany, then volunteered for duty in Vietnam in 1969. I spent almost 16 months in the central highlands of Ankh VN. I got out of the army in 1970. and began a career at Norfolk Naval shipyard where I stayed til I retired in 1999, as a welder in shop 26.... I enjoyed retirement for about 9 months til I got bored, so I started back working at Earl Industries (welding) here on Victory Blvd.... I moved back to Cradock on Kennedy Drive after separating from my wife of 26 years. I have lived here since July of this year. I went on to complete my GED, and got college in police science. My brother also went to Cradock High and graduated in 65. His name is William Douglas Bridgers, and lives in Jacksonville, Fla. My 3 sisters include.. Mary Ann.... Sylvia and Deborah who all are still living, and live in this state. I went to the reunion today 18th of Oct. and had a very good time seeing all the people from the past. (and even recognized a few lol).. but would have loved to have seen some of the teachers I used to have anyway, if you want to contact me please feel free to at DBrid10842@aol.com or FirstCavalry49@aol.com anytime... and have a great day..... and I love life more now than ever. I'm class of '72, Karen Gowdy (Arban), and if you love candles, I'm your girl. I am a PartyLite Consultant, and provide in-home shows to introduce you and your friends to the very best candles and accessories available. If you would like more information about hosting a show and earning free and/or discounted products, or becoming a consultant, send me an e-mail at: arbankaren@netscape.net with PartyLite as the Subject. Be sure to include your phone number and I'll get right back with you. Blessings to you all! Just wanted to drop a line to any Cradock Alumni, to see if any one out there would be interested in a 20 or 25 mile bike ride through Suffolk or where ever. It's great exercise and gives you a chance to get some fresh air. Who knows, we could even form a Cradock Bicycling Club if there are enough interested members. Contact me directly at RH203@aol.com. Appreciate it! Looking for Starr Hand, Class of '70. We were good friends and I really miss her. Would like to hear from her. Hello, from the Class of 66. I would enjoy hearing from my old friends at CHS. I really enjoy reading the newsletters and keeping up on the news. Living in Virginia Beach, happily married, 4 wonderful children, 2 grandsons, with a new addition on the way. Hi, I received an email from you regarding Cradock High School Class of 1952. I am alive and well, retired and living in England. I have lived here for about 32 years. What information do you want from me? I was extremely please to get your email and your direction to the Cradock website. Well, I say pleased but I was absolutely knocked off my chair when I saw that so many of my close friends have died. Many of them I have wondered about over the years so it was a bit of a blow to find they had already passed on. By the way, my mother, who was a graduate of CHS in 1932 just passed away last July. I have a class photo which is made up of individual photographs of each of the class members with their names. Some other pictures of girls and boys who she went around with at school. If there is a facility I can post them on the site for others who might like to download them. My mother's name was Janice Lynette Proffitt. Anyway, please contact me if I can be of any help, I would be pleased to hear from anyone there. You can pass on my email address to anyone interested. I'm not an alumni but feel Cradock is a very big part of my life. If I would have stayed I would have graduated '62. I attended James Hurst 4 yrs. Went to Churchland for the 5th and 6th, then returned to Cradock until 1959. Left for NC for one year then on to Jacksonville Fla. and Andrew Jackson High School. I don't know if you post e mails except for alumni, but I hope so. Hi, my name is Paul Barham, son of Sandra Faye Carneal Barham. On behalf of myself, Kelly Adams (Barham), and Michael Barham also children of Sandra Carneal Barham, I would like to thank you for taking the time and effort for mentioning her on your website. I know it would mean alot to her for this. She talked highly and with great fondness of her last reunion. I hope her classmates think good thoughts of her and maybe even miss her, as we, her children do. Again, thank you, and GOD BLESS you all. Hi Bud: Don’t know if you remember me: I am Susan Howell. I graduated from Cradock High in 1964 but moved away from Virginia when I married in 1968. I am now living in Yokohama, Japan with my husband of 36 years, Mike Gerrells. I don’t get back to Cradock or Portsmouth much anymore but I do think of the old gang and wonder what they are up to. I have been very active in theatre, both acting and directing, for the past 30 years. I currently teach English 101 for the University of Maryland Asia campus in Yokosuka, Japan. Would love to hear from anyone who remembers me and wants an Asian pen pal! On Wednesday the 16th of April, Gordon Grimes had surgery to remove a cancerous tumor. It was determined that the tumor could not be removed. He now faces a difficult time of chemo and radiation. Please remember Gordon in your prayers. He now needs a miracle. His address is 5307 Woody Terrace, Ooltewah, Tenn., 37363. Yours prayers can be a part of the miracle that he needs and your letters and cards will give him hope and encouragement. Please pass the word to all that you know from the Cradock Class of 61. This is in response to Linda Priest Burdett looking for Starr Hand, c/o 70. Linda, I am her cousin. I am in almost weekly contact with her. Please contact me at RH203@aol.com, and I will help you contact her. Or if anyone knows how to contact Linda, please forward this message to her. I tried to contact her @ her email address, but it has been disconnected. Thank You. Thanks for the newsletter! I finally, by doing some surfing found the Cradock website. My name is Richard Cesler class of 1966. I am married to Joyce (26 years). We have six children and nine grandchildren. They range in age from 17 years to 4 months. Fun times ahead. We now reside in Boise, Idaho after my retirement from Delta Air Lines in 2001 (18 years). My wife Joyce worked for Hewlett Packard for 17 years. We enjoy babysitting the grandkids, and as many trips as we can muster. This was just a note to say thanks for including us in the newsletter members directory. Am looking for Lee "Sparky" Evans. Was one of my bridesmaids in July 1974. Brother's name was Butch. Lived next door to Terry (am sorry can't remember last name) and across the street from Herbie Coleman. Dear Cradock Alumni! Altho I did not actually graduate from Cradock High School, due to the fact that my Navy Dad was transferred to Guam MI, in late '52, where I did actually graduate, I attended most of my school years in Cradock and knew many of the 'kids' whose names I've been reading about on your web site!! It truly has been interesting and enjoyable for me! I am now living in Fernley, NV, just outside of Reno, after living most of my life in Calif. I married an ex-sailor, who I met in Portsmouth in 1954, we were married in 1955,and have three sons, 2 grand-daughters, and 1 great-grandson. We have led an interesting life, he was with the L.A.P.D, for almost 20 years, and I have always been very proud of him. Most of my immediate family are scattered all over the USA now, so we don't get back to the Portsmouth area any longer, but still have fond memories of living and growing up there! I am still in touch with a few of my oldest girl-friends from my school years, via email, and have enjoyed corresponding with them. Keep up the good work on the web site and news letters. Looking for a 1983 Yearbook! I would like to find a Cradock High School Yearbook from 1983. My husband, Jeff Shoemaker, is a Cradock High Alumni (1983). We went to his class reunion this past weekend. For the first time in 10 years of marriage, I got to look at the yearbook (someone from the class brought one). There are several pictures of my husband, including one in the superlatives, as he was voted "most athletic". He loved his high school days, and I think he would really like to have a yearbook. With the school being closed, I really don't know where to go to try and get a yearbook. Do you have any suggestions? Thanks, in advance, for your help. On the Message Board there was a Debbi Murray Webb - is that the same Debbi Murray from c/o '75? If so, Howdy! I'm Debby Rosser Goodwin - I can be reached at: awlbouys@hotmail.com - drop me a line! Greetings, I should've been a graduate in 1977 however, I was moved away to the "Windy City", Chicago IL in 1975. Another move placed me in Lakeview, Iowa where I graduated with 45 other seniors. Many years and friends have passed , but none like the ones that shared my life at Cradock High School. I would love to make contact with anyone that can remember me. I was looking in my 1975 year book just a couple of days ago and it made me happy and sad to see all those long ago familiar faces. I am currently married(17 yrs.) and have four children. We live in Marysville , Washington in the great Northwest, about 42 miles north of Seattle. Yes , it does rain an awful lot. Greetings, I didn't get to graduate with the 76' class, but most of my Portsmouth friends did. I was wondering if anyone knows how to get in touch with Nancy Bunting, or Denise Reneau. Nancy was in 76' class, Denise was 75'. I left Portsmouth when my Navy Dad was transferred to the Canal Zone. Any info will be greatly appreciated.